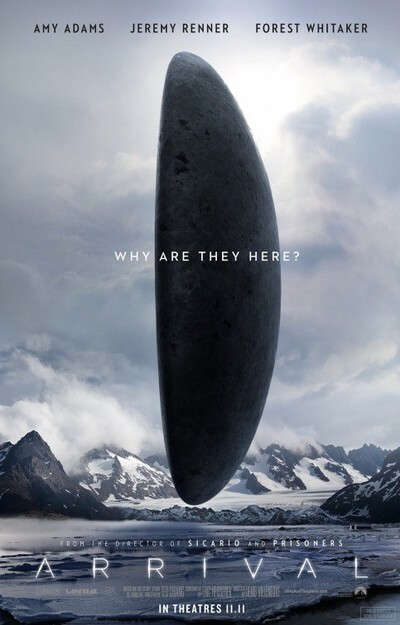 Arrival is a science fiction first contact movie released in November 2016, which is based on the short story “Story of Your Life” by Ted Chiang. The movie stars Amy Adams, with Forest Whitaker and Jeremy Renner. The movie begins shortly after 12 gigantic alien aircraft suddenly appear over various places around the globe, including one in the United States in an isolated spot in Montana. Linguist Louise Banks (Amy Adams), struggling with memories of a lost daughter, is recruited by Army Colonel Weber (Whitaker) to find out why the aliens have come and what they want. Louise leads the team alongside Ian Donnelly, a theoretical physicist aiming to use science as the medium of communication. It’s a race against time, because the other 11 eleven alien vessels are communicating with the governments and militaries of other countries. Do they mean us harm? Are they willing to share their technology? Will they share weapons? What if they share weapons with all those they are in contact with? What if they share weapons with only some of them? What if the aliens support one country against another. The Army has set up protocols for the meetings, about what exact topics may be spoken of, and exactly how the aliens can be approached, but Louise is willing to take big risks to try to make a breakthrough happen. Meanwhile, as Louise becomes more and more fatigued from overworking, she struggles with memories of the loss of her daughter, coming to mind at odd moments.